SPAIN had its hottest year on record last year and climate change is ‘now noticeable’, weather agency AEMET has said. 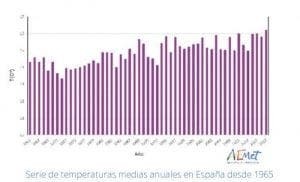 Some seven areas in Andalucia and the south – Badajoz, Jaén, Granada, Córdoba Ciudad Real and Cáceres – posted new all-time temperature records in July. The airport in Granada was the hottest spot in the country in 2017, reaching an official high of 45.7ºC on July 12, a full 2.7C higher than that weather station’s previous record, back in 1972. 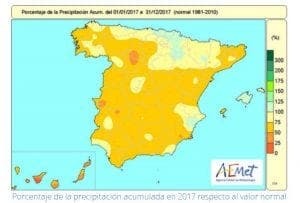 “2017 was an extremely warm year in Spain: the average annual temperature was the highest in the historical record, with an average temperature of 16.2ºC, a value that is 1.1ºC higher than the annual average,” said AEMET. 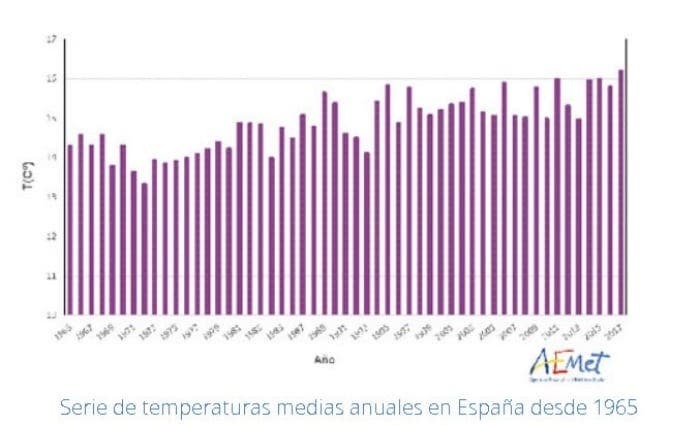 Night-time minimum temperatures during the summer period also broke records, with temperatures in the early hours at the start of August not dipping below 26ºC in Madrid, 27ºC in Alicante or a sweltering 28.9ºC on the Balearic Islands. The previous highs in all of these places were prior to 1978, and in two places—Zamora and Alicante—the 1930s. More than 40 weather stations recorded record annual average highs. 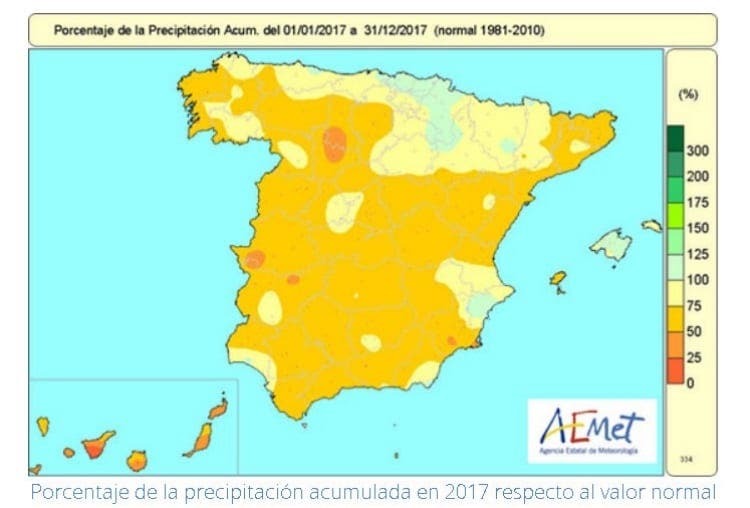 The Spanish Met Office also described 2017 as a ‘very dry’ year with much lower rainfall across the country. “Average rainfall in Spain was around 474mm, 27% lower than the annual average in the reference period between 1981 and 2010,” it said. The figures mean 2017 was the second driest year since 1965, only beaten by 2005, when average rainfall dropped to 468mm. The point has been reached where regular natural weather events no longer seem to exist. Infrastructure changes are now underway in Spain to ensure that essential water supplies get to different areas. The beginning of the desertification has sadly begun and the population of inland Spain will now quickly lessen.